Behind the story of super-yacht Aviva, which hosts arguably the best padel court in the world, is Joe Lewis. He is among the wealthiest business men in the UK, with net assets over USD 5.3 billion. He owns a number of companies, including Pampa Energia, the largest electricity company in Argentina. His son, Charles Lewis, lives in this southern country as well. Thus, no wonder they like padel. Padel is a popular sport in the Messi’s land. Joe uses his super-yacht Aviva as his personal mobile office. He usually invites guests to play padel with him. He encourages his crew to join padel matches as well. How he thought of this remains a mystery. 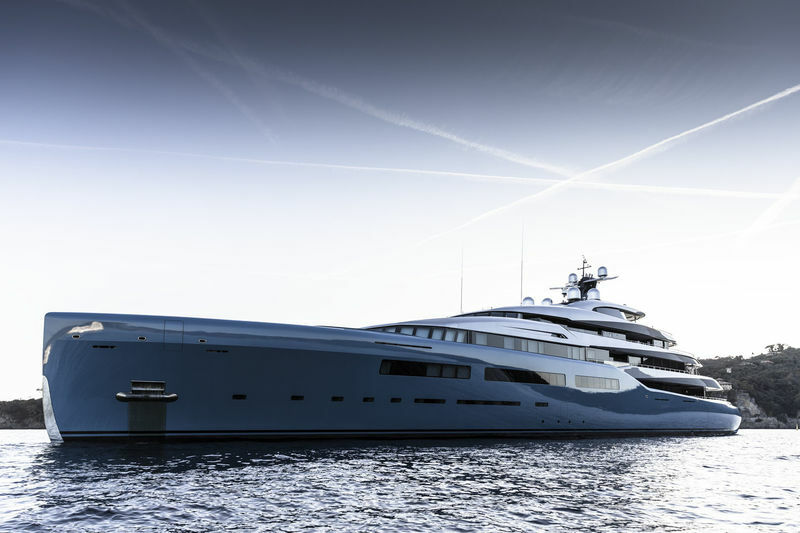 But the yacht was built by Abeking & Rasmussen, a German company that has been building some of the biggest and most luxurious yachts in the world since 1907. Aviva is 98 meters long and has a unique eco-friendly drive system. A unique hull design paired with an electric propulsions system results in significant reduction in fuel usage on board. Aviva was the recipient of a 2018 BOAT International Design & Innovation Award last weekend for her special paddle tennis lifestyle area on board. Way to go Joe, you bring your office and your padel court wherever you go. Call us! We want to play padel with you!